The world-renowned Kruger National Park offers a wildlife safari that ranks with the best in the world. A Kruger Park Wildlife SAfari is the true authentic South African safari and ultimate wildlife safari experience staying in a private game lodge. For your once-in-a-lifetime safari, a South African safari package staying at private lodges in the Kruger Park, will meet and exceed your safari expectations. Go Safari only uses selected private game lodges in the Kruger Park and Greater Kruger Park or within privately owned Big 5 reserves for our Kruger Park wildlife safari vacations packages. 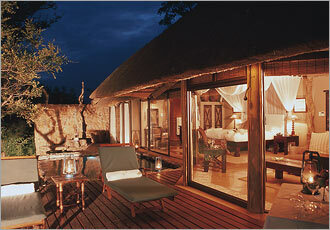 The entire “bush/safari experience” at these lodges is much better. Being private lodges the main advantage is there are no public vehicles allowed so all your game drives are on special 4x4 open safari vehicles driven by field guides and on tracks and gravel roads. This allows much better animal sightings on your Kruger Park safari, you get closer to the animals and there is nothing more exhilarating than sitting on an open vehicle a few meters from a lion with no other vehicles spoiling the sighting. These lodges can generally offer very good game viewing as the field guides with the aid of a tracker all talk to each other and have a fair idea as to where the animals are and know where to look for which species so your chances of seeing the best of South African Wildlife on your Kruger Park safari is very good. There are a large variety of game lodges from basic bush lodges concentrating on a true bush experience to world class opulent 5 star lodges whit every luxury you may wish for, something to meet any budget and need. Go Safari recommends at least a 4 day visit to the Kruger National Park so you can enjoy the experience and not spend most of your Kruger Park wildlife safari travelling. If time allows a 5 or 6 day safari is even better. 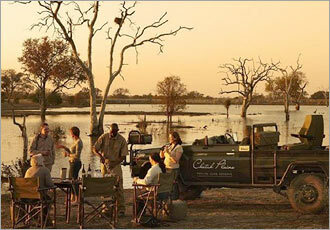 Experience the Kruger Park, don't just visit it . Four Day Budget Kruger SAfari: By using a scheduled road transfer service between Johannesburg and the lodges we can keep the total cost down and still stay at a 4 star safari lodge. Four Day Standard Kruger SAfari: Enjoy a private transfer between Johannesburg and the lodge including scenic stops and stay at a 4 star game lodge. Four Day Luxury/ Honeymoon Kruger SAfari: Enjoy a private transfer between Johannesburg and the lodge including scenic stops and stay at a 5 star game lodge before flying back to Johannesburg or Cape Town. Fly-In Luxury Kruger Park SAfari: Fly between Johannesburg and an airport close to the lodges, this saves time and can be cost effective. Stay at a 4 or 5 star lodge. 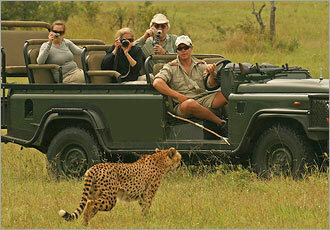 Walking SAfari: A great way the experience the wildlife while on your safari in South Africa. This is a 5 day safari to get the best out of your wildlife safari. Dream SAfari: Go Safari will arrange a safari in South Africa using 5 star safari lodges in the Kruger Park, Victoria Falls and Chobe in Botswana - combining these areas makes the ultimate wildlife safari. Why a Kruger National Park Safari? In this region you can explore an unbelievably wide range of mammals, like the zebra, giraffe, lion, wild dog, elephant and the white rhino, just to name a few examples. Drive with experienced guides who are regularly in contact with each other, to guarantee frequent sightings of the animals. 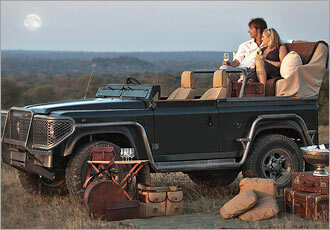 Go on a Game Drive in one of our three open- vehicles and experience the most thrilling adventure of your life! Two or three-day safaris can be arranged if you have the time. What makes the Kruger Park unique is that its biodiversity is unmatched, with 147 species of mammal, 492 of birds and 118 of reptiles, along with 628 types of trees, shrubs and grasses as well as thousands of insects. No other national park in the world can offer this. Now that the fences between the Kruger Park and the surrounding privately owned land have been dropped forming The Greater Kruger National Park a genuine big five safari can be experienced at numerous privately owned game lodges that were once "outside" the Kruger Park and now are "inside" the Kruger Park. Join Go Safari on Kruger Park Safari and experience this unique natural heritage which is enjoyed by over 1 000 000 visitors per year. With the large selection of privately owned game lodges in a big five reserve Go Safari can package a Kruger Park wildlife safari in South Africa to meet your needs. Let Go SAfari design a Big 5 holiday for you! Allow our experience to work for you. I spent 7 days with my best friend in South Africa. Susan organised my trip from A to Z. Glen (her husband) picked up us in Johannesburg and drove us to Kruger National park. He's a very nice man, helpful and very interesting. He told us a lot about the cities, citizen & history. We went on the panoramic road which was great. Then he dropped us in Mohlabetsi Lodge in Great Kruger. We spent 3 nights there and it was just fabulous. The lodge is wonderful and we had the 2 best guides ever. We saw the big five in 3 games drives. Every time they were tracking for an animal they found it, amazing!! Then we spent 2 nights in Sausage Tree Lodge. That’s a smaller lodge more familiar and it was a very nice experience to sleep in a tent. We had our best holidays ever. Susan and Glen did their best to organise the best for us and it was just perfect. Next time I’ll go back to Kruger, I’ll go with my kids and I’ll definitely ask Go SSfari to organise my holidays again! The Kruger Park was first proclaimed in 1898 as the Sabie Game Reserve by the then president of the Transvaal Republic, Paul Kruger. He first proposed the need to protect the animals of the Lowveld in 1884, but his revolutionary vision took another 12 years to be realized when the area between the Sabie and Crocodile Rivers was set aside for restricted hunting. On 31 May 1926 the National Parks Act was proclaimed and with it the merging of the Sabie and Shingwedzi Game Reserves into the Kruger National Park as we know it today. Making it the second oldest National Park in the world. The first motorists entered the park in 1927 for a fee of one pound. Now that the fences between the Kruger Park and the surrounding privately owned land have been dropped forming The Greater Kruger National Park a genuine big five safari experienced can be experienced at numerous privately owned game lodges that where once "outside" the Kruger Park. The best time for observing the animals is the dry winter season May to September. Then the grass is low and bushes and trees don't have leaves, so that one can have an unobstructed view. Because it virtually doesn't rain in winter, the animals come to the waterholes to drink in the mornings and evenings and are more concentrated. 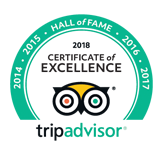 Since 1995 we have been planning and bringing the best of South Africa to our clients, and continue to do so with great passion and enthusiasm. Take advantage of our knowledge & experience. Talk to us. We can help you plan an unforgettable wildlife safari vacation.